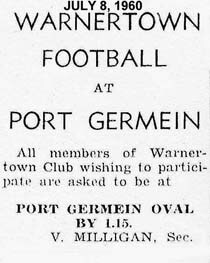 In 1960 there were few stories about Port Germein in The Recorder though Gladstone and Crystal Brook received ample coverage, and the fascinating social activities of Baroota continued to be reported, which is strange as there wasn't even a town of Baroota. 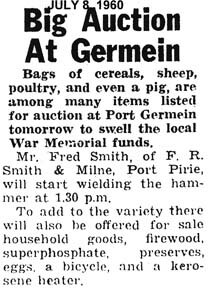 Apparently when the folk from Port Germein visited their relatives in Adelaide or elsewhere, no one bothered to inform the newspaper. 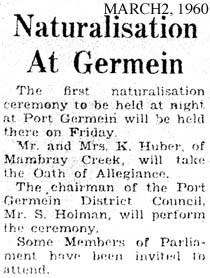 Napperby and Nelshaby, so close to Port Pirie, were also rarely mentioned. 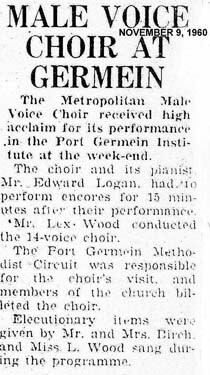 As far as I can remember, The Recorder wasn't sold or promoted in Port Germein and we didn't realise there were stories about us in it. If we had known, we certainly would have bought it. 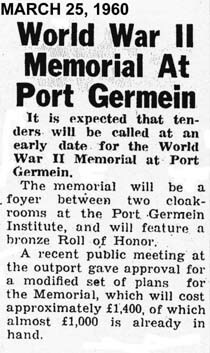 Obviously the people from Baroota knew about it, perhaps because they did their shopping in Port Pirie.